Youtube is a great way for people to communicate across the web. And a fantastic way to review and showcase products. There are so many reviewers, bloggers, vloggers and testers out there to present to you an in depth review of almost anything. So before you decide to part with your well earned cash you have a wealth of information at your fingertips. The 2014 Ryder Cup is set at the extremely beautiful Gleneagles course in Scotland this year. Who will reign supreme, Team Europe or Team USA? Will team Europe win the Cup for the fourth year in a row or will Team USA wrangle it back. Whoever it is we are definitely set for some exciting Golf this weekend. It will certainly be well watched with over half a billion homes tuning in to watch the action. If you are one of the lucky 45,000 spectators attending the event the weather according to the Met Office looks like it is going to be mostly kind with the forecast looking mainly dry and a little windy. However there is some wind and rain forecast over the weekend so be prepared as it is likely to be changeable. For any windy downpoors and showers that are inevitably going to fall, the Gustbuster Golf umbrella has it covered as it can withstand winds up to 55mph and has a unique, strengthened design for extra piece of mind. No flipping inside out! Meaning you stay dry and sheltered to watch and enjoy the golf. Good luck to all the Golfers in both teams and let’s hope that the weekend unveils some nail-biting action and some world-class golf. Why choose a GustBuster umbrella? 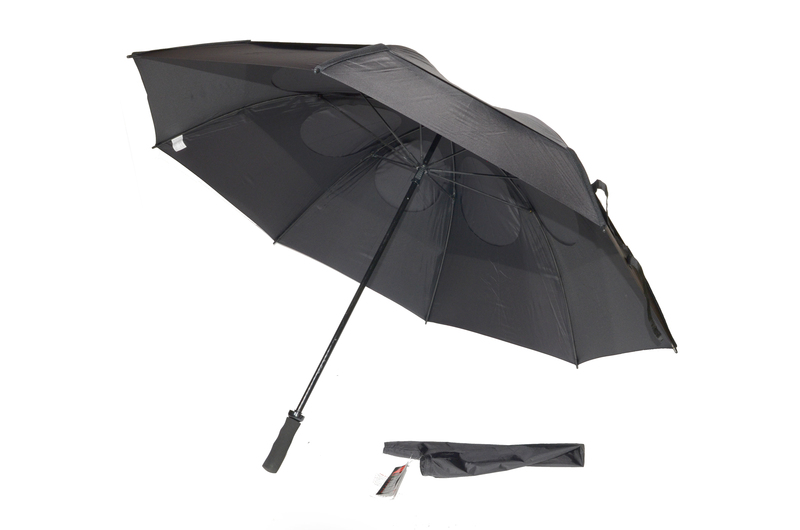 The Gustbuster umbrella has a set of unique design features that make it a high quality, wind-proof umbrella. Windproof; the double canopy features raindrop shaped wind release vents work with the wind to stop the umbrella canopy from flipping inside out. It has been certified to withstand winds up to 55mph. Waterproof; the canopy is made with a fine high quality thread count nylon so it is waterproof, bleed-proof and fade proof. 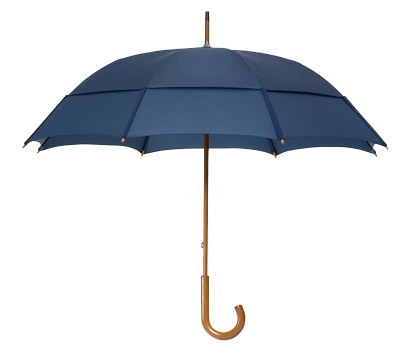 Strong; the frame of the umbrella is reinforced and has high impact protection as well as being rust-proof and lightening resistant.